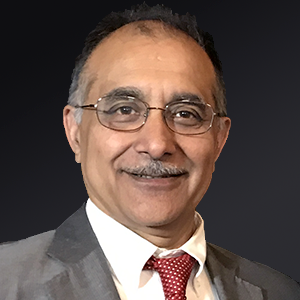 Vikas Saini, MD, is President of the Lown Institute. He completed his MD with distinction from Dalhousie University in Halifax (1980), residency at Johns Hopkins Bayview, and a Lown Fellowship at Harvard and the Brigham and Women’s Hospital. As a house officer he was the President of the Baltimore Chapter of Physicians for Social Responsibility. With Shannon Brownlee of the New America Foundation, Dr. Saini convened the Avoiding Avoidable Care Conference in April 2012, the first major academic conference focused on the problem of overuse. That event has now evolved into the Lown Annual Conference. With Ms. Brownlee, he is the co-convener of the Right Care Alliance, a grassroots network of physicians, nurses, patient activists, and community leaders dedicated to creating public demand for care that is safe, effective, affordable, and just.